Brainiac: Action figures you mean, not dolls. Only girls play with dolls. Saturn Queen: Watch it, computer geek. 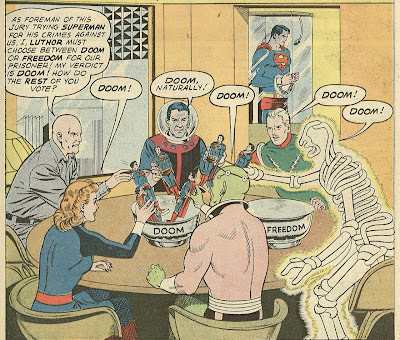 Luthor: And we'll have these two salad bowls, you see, one labeled Doom and one labeled Freedom. And we'll vote by putting our dolls--err, action figures--into one of the salad bowls. 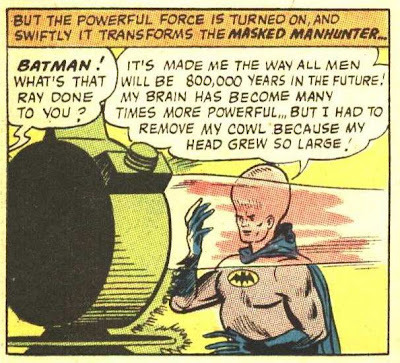 Brainiac: But logically we only need the Doom bowl. Luthor: Yeah, but where's the drama in that? C'mon, it'll be fun. You'll see! In the Pulitzer-Prize-winning book from the late 1970s, Godel, Escher, Bach, the writer Douglas R. Hofstadter illustrated a problem of abstraction that we all have encountered in our own thinking and speech. At times we start out arguing a point, get off onto an abstraction, then elaborate on that abstraction, getting off onto another abstraction, and eventually wind up that second digression and pop back up to the earlier abstraction, wind it up and quit, forgetting that we have missed bringing the whole thing back up to the top level. Hofstadter presented a story about Achilles and the Tortoise (who appeared often in the book). They were out for a day when they were kidnapped by a villain in a helicopter, who took them back to his hideout. While there, they read a book that the villain owned that had an adventure of Achilles and the Tortoise. And in that book, they watch a TV show about an adventure of Achilles and the tortoise. Eventually that TV story winds up and we're popped back to the book, where the story eventually is resolved. The end. The problem, of course, is that we have not popped back to the top level yet, the story where Achilles and the Tortoise have been kidnapped, so that tale is unresolved. Enter the Supergirl story from Action #329-331. Supergirl is tricked by an alien villainess named Fantasta, who is attempting to join the "Circle of Evil" by kidnapping her and bringing her back to their planet. Eventually she discovers Fantasta's weakness. Realizing she has failed, Fantasta chooses suicide. 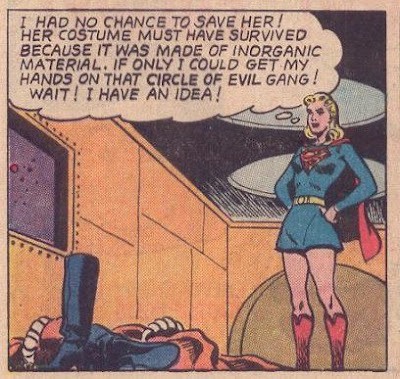 Supergirl decides to dress up as Fantasta to discover the secret of the "Circle of Evil"
Having apparently succeeded in her mission to destroy Supergirl, Fantasta (really Kara) is given one last assignment before joining the "Circle of Evil" She must defeat Drang the Destroyer, who has beaten several other candidates for the Circle of Evil. 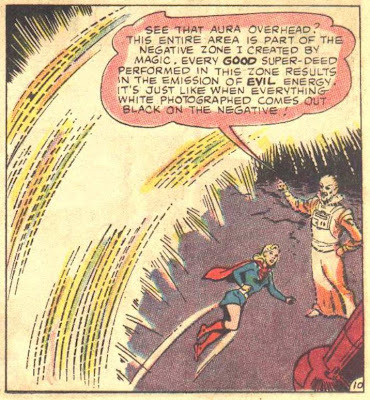 Complicating matters is the fact that Supergirl has lost her powers apparently in this "cosmos", so she is unable to do anything as her space ship rockets towards the Purple Planet and Drang the Destroyer. In Action #330, things change a bit. When Supergirl arrives at the Purple Planet, she discovers a bunch of heroes that she has previously encountered (presumably in an untold story). None of the former candidates for the Circle of Evil are there, however. 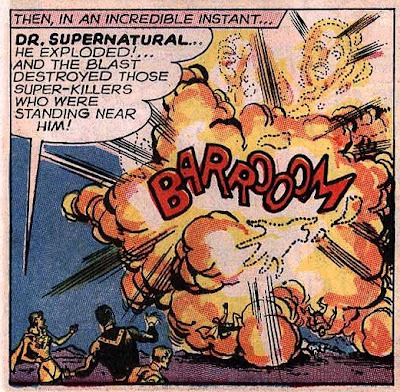 We learn that Drang the Destroyer has another name: Dr Supernatural. Were DC's lawyers concerned that Drang was too close to Kang, and the Destroyer was a character appearing in Thor? 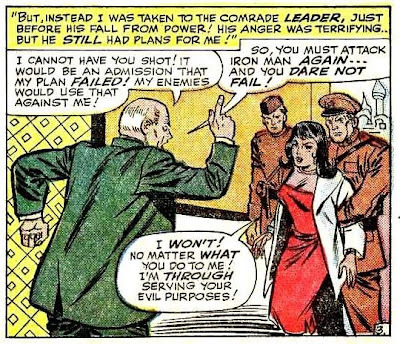 This is a very common theme in the Silver Age; faced with a powerful villain, the hero increases that power until the villain is unable to control it. The other heroes return to their own worlds and Supergirl to Earth. The End. And yet they are mentioned not at all in the windup in Action #331. That doesn't make a whole lot of sense; we know that Dr Supernatural was responsible for her losing her powers on the way to meet the Circle of Evil, so it's not as if she couldn't have mopped them up in a few panels. The story is entertaining and of course features that wonderful Jim Mooney art. But it doesn't quite get completed. This is one of those issues that I had not read until recently. As you can see, this is one of DC's classic puzzle covers. Why would Clark Kent masquerade as Superman? Why would he do a "Superman dive"? Of course, we know that he won't be hurt, but surely this will give away his secret identity. The plot gets even more ridiculous, as Perry pretends to be an assassin out to kill Lois Lane. The bullets from his gun bounce off Clark (he supposedly was wearing a bulletproof vest, so this did not surprise Lois or Perry). But somehow Perry is not apprehended despite the fact that this assassination attempt takes place in the midst of a huge parade to honor Clark for his deeds as Superman. 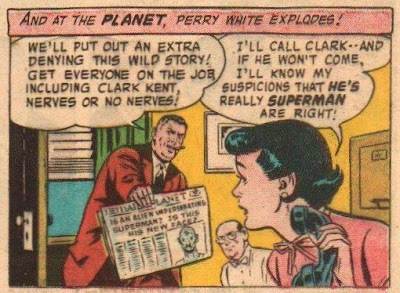 In a clever plot twist, a crime boss is listening in on the Planet staff as they plan the next stunt to convince the public that Clark is Superman. He impersonates Perry and when Clark appears at a penthouse to demonstrate how he can make diamonds out of coal (secretly the diamonds are hidden inside soft coal), the crime boss suggests that Clark dive over the edge of the roof, to a waiting safety net. This gives us the cover image. 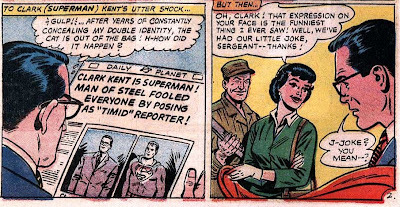 Superman takes over and convinces everybody that he had impersonated Clark for awhile. But when Supes leaves and Clark returns, one of the crime boss' henchman shows up and shoots Clark. Lois sobs over his dead body as Perry subdues the gunman. But Clark was wearing the bulletproof vest and so (it appears to Lois and Perry) he survived. Overall it's an amusing story. 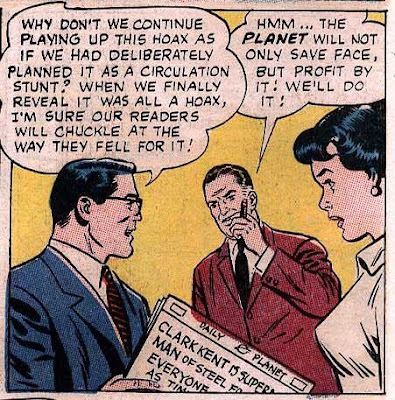 The idea of continuing the hoax on the public rather than fessing up is unlikely at best, but it's necessary to the plot, and it is rather amusing seeing Clark trying to pretend to be Superman but at the same time trying not to be Superman. The Supergirl story in this issue is the conclusion to a longer tale that ran from Action #329-331. It's a good enough story and illustrates an interesting enough point that I would like to dedicate a separate post to discussing it, coming up next. 1. By what term did Marvel refer to DC Comics in the Silver Age? Answer: Brand Echh, as first pointed out by Kryp44. Cultural reference: TV commercials of the time often compared the sponsor's product to a rival product from "Brand X". In tests, we were advised, consumers largely rejected Brand X. 2. In retaliation, by what term did a DC comics reader suggest that Marvel Comics be referred to as? Commenter Michael Rebain remembered that one. 3. It is well-known that five DC superheroes survived intact from the early 1940s continuously into the Silver Age without a reboot: Superman, Batman, Wonder Woman, Green Arrow and Aquaman. What other non-DC superhero made it through continuous publication from the early 1940s into the Silver Age? 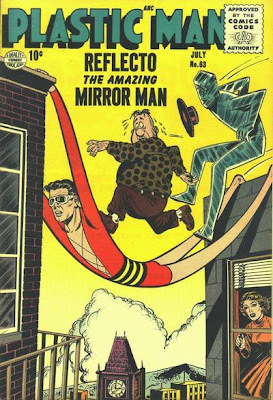 Plastic Man's last Quality issue was published in November 1956. DC acquired the rights to the character when they purchased Blackhawk and a number of other mags from "Busy" Arnold, although they did nothing with Plas until his appearance in a Robby Reed story. 4. Name the superheroes and supervillains who had the same name in the DC and Marvel Universes. Only counted if each appeared in the Silver Age at some point; neither Tarantula, for example would qualify. There are probably others, but here are a few: The Enchantress (noted by Michael Rebain), Hercules (noted by Steve C.), the Sandman, the Vulture, Electro, and Thor. 5. True Or False: Amazing Spiderman never outsold Batman in the Silver Age for an entire year. Surprisingly, perhaps, the answer is false. When Batman sales crashed as Batmania died out, the title actually slipped below ASM in sales in 1969. Beaucoup Kevin is providing coverage of the San Diego Comic Convention for those who are not there. Dial B for Blog is doing a 16-day celebration of the Batman. One oddity of the success of the 1960s Batman series is that for awhile, the Dynamic Duo found themselves sharing cover space on teen mags with rock idols of the time like the Beatles and Herman's Hermits. Mark Engblom reveals the story behind the Original Hulk. Kinda looks like an oversized Baron Zemo to me. That aside, what we have here is something I hadn't seen in discussion for awhile - the idea that heroes only become interesting when they're villains. This, in my mind, is cheap and degrading, but it also runs a considerable risk of making it hard for old and new audience members to apprieciate the older material when they're later being hit by the whole notion that these heroes of yore are suddenly becoming villains today. 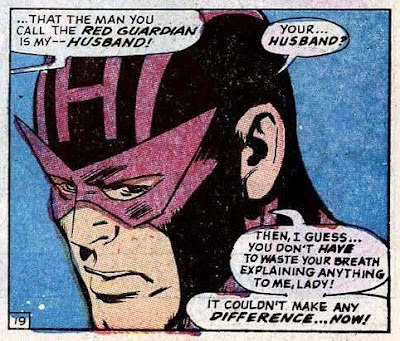 That's not something that people had to deal with back in the Silver Age of comics; villains occasionally turned into heroes (Quicksilver, Black Widow, Scarlet Witch, Hawkeye), but never the opposite. Well, almost never. The Legion Omnicon catches a Silver Age reference to Spiderman in a Legion of Superheroes story. 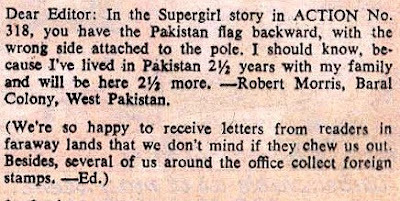 This kinda highlights a post I'm working on about the comic book wars of the 1960s. 1. After Green Arrow announced his first resignation from the Justice League due to an unspecified threat, what did his fellow JLA members do after accepting his decision? Terrific memory by Michael Rebain, who not only noted the answer, but the exception. 2. How did "Snapper" Carr get his nickname? Cultural reference: In the late 1950s the beatniks had a shtick of snapping their fingers rather than applauding. 3. Who was the first new member inducted into the Justice League? 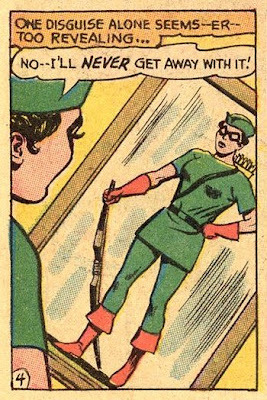 Answer: Green Arrow was the first new member inducted into the JLA. One odd difference between the JSA and the JLA is that in the JSA, members were "retired" when they graduated to their own magazines; hence Superman, Batman, the Flash and Green Lantern were fairly inactive in the JSA for a few years. The JLA was supposed to be for characters who had graduated to their own magazine, although there were exceptions right from the start; Aquaman and Martian Manhunter did not have their own mags at the time. 4. Among the five original members of the JLA (not counting Batman and Superman), who was the first to not appear on a cover? The Martian Manhunter did not appear on the cover of JLA #7, although he did appear in the story. Good job by Joe Bloke! 5. Who was the first superhero to decline admission to the JLA? Spanish DC was the first to answer this one correctly (as well as #2 and #3). I will try to make these trivia questions a regular Friday feature. There are only a few comic characters of the Silver Age who qualify as "franchises". That is, they were so successful that they spawned spin-off series that were successful in their own right. One of those characters was the mightiest human being who ever lived. Another was the lowliest private in the Army. A third was a freckle-faced teenager. And the last was "a poor little rich boy". It's kind of an odd mixture; two people who lived lives we could never dream of, and two "everyman" types. Archie was the undeniable comics franchise of the Silver Age, producing a staggering number of spinoff mags: Little Archie, Archie & Me, Archie's Madhouse, Archie's TV Laugh-Out, Betty & Me, Everything's Archie, Jughead, Jughead's Jokes, Life with Archie, Reggie & Me, Reggie's Wise Guy Jokes, in addition to the Archie comics that started in the Golden Age, like Archie, Betty & Veronica, Pep, Laugh, etc. 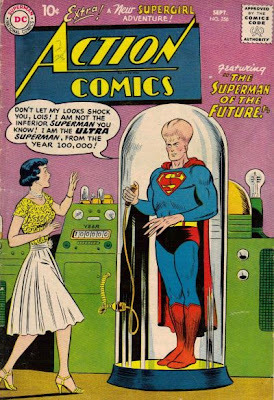 Superman, of course, had been a franchise character almost since his introduction, spawning his own mag, World's Finest, and Jimmy Olsen and Superboy in the Golden Age, while that latter character took over the lead in Adventure Comics. He added Lois Lane to his regular appearances, and was the designated character to introduce DC's line of Annuals. While he did not generate as many new titles as the other characters in this post, what he did generate sold amazingly well: In 1962 the top four titles in sales were Superman, Superboy, Lois Lane and Jimmy Olsen, and the only Superman-related title to finish out of the top ten was Justice League of America (which was 11th, and generally did not feature Superman on the cover or in the story at the time). 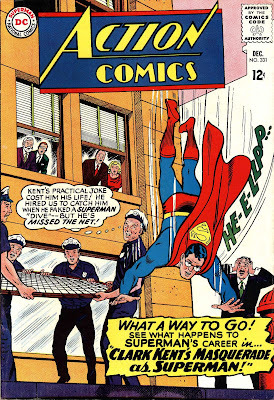 In 1965, the top six titles in sales were all Superman-related. Marvel did not have a franchise character/feature in the Silver Age, although they had two that would eventually earn that designation--Spiderman and X-Men would eventually start branching out into more and more books. You can make a teeny-tiny argument for Millie the Model, but I'd rather not. Harvey was the only publisher to have two franchises: Richie Rich and Sad Sack. Richie Rich's own book only launched in 1960 (he started in 1954 as a backup in Little Dot), but within a few years he had launched Richie Rich Dollars & Cents, Richie Rich Millions and Richie Rich Success Stories. In the 1970s the number of Richie Rich titles continued to spiral upwards as every valuable item in the world from Gems to Gold and Silver became the inspiration for another magazine. Sad Sack was similarly successful in launching new titles. Sad Sack & the Sarge, Sad Sack Laugh Special, Sad Sack's Funny Friends, Sad Sack's Army Life Parade and Sad Sack World all had long runs starting in the Silver Age. Any others? Donald Duck can make an argument, but Uncle Scrooge was a well-established magazine before the Silver Age started, and the Beagle Boys and Gyro Gearloose didn't last long enough to qualify. Batman, like Spiderman and X-Men was a franchise feature waiting to happen; I don't think you can count his late and tentative (at the time) takeover of the Brave and the Bold. Update: Snard points out a good one in the comments: Casper the Friendly Ghost. Casper had his own book and spun off long-running titles like Spooky, Wendy the Good Little Witch, Casper and Nightmare, Casper Ghostland. This is an excellent post on one of the under-rated characters of the Silver Age of Comics. John Jones was very much like Detective Sergeant Joe Friday, with a bit of Phillip Marlowe and a science fiction twist. Like pulp detectives, crooks routinely got the drop on Jones in the second act, roughing him up to add tension before the final turnabout. 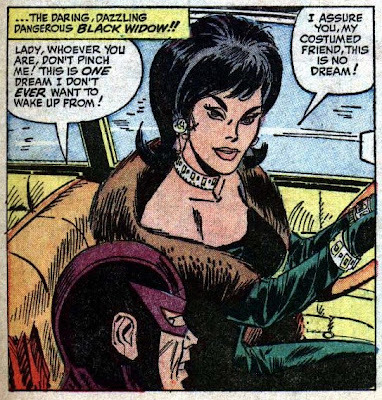 Marvel introduced many memorable female characters in the 1960s. One of the more interesting was the Black Widow. She first appeared as an opponent of Iron Man, in Tales of Suspense #52 (April 1964). As you can probably guess, she's a Russian spy, assigned by the Kremlin, to kill Vanko (the former Crimson Dynamo), Tony Stark, and Iron Man. 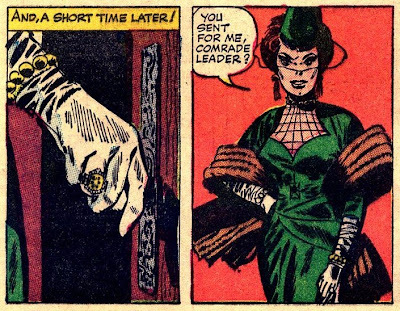 She is accompanied by Boris, a hulking brute of a man, who kayos Vanko, brings him back to a Soviet sub, then returns to Stark's plant to wreak havoc in the Crimson Dynamo's old outfit. She suggests some accessories for his arrows, and Hawkeye, being already madly in love with her, agrees to defeat her enemy, Iron Man. 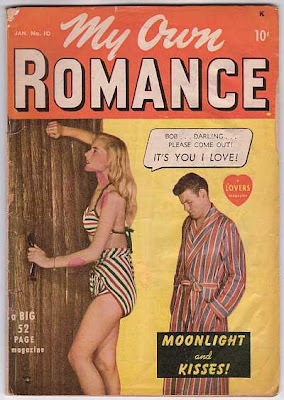 Of course, he is not aware that she is a communist spy. Hawkeye and Iron Man battle it out, with Iron Man eventually emerging victorious. Hawkeye tries a demolition blast arrow on Shellhead, but it ricochets and hits the Widow. Hawkeye escapes with her, planning to nurse her back to health. He attacks Stark's plant again, but is dismayed to learn that the boss himself keeps all the plans in his head. He barricades himself inside with Pepper Potts (Stark's secretary and secret love). The Widow goes to help him out, but she is captured by her Soviet masters, who haven't forgotten her earlier failures. As the story ends, Hawkeye escapes capture, but Natasha is on her way back behind the Iron Curtain. I'll attack his weakest link, the girl? Not very heroic! 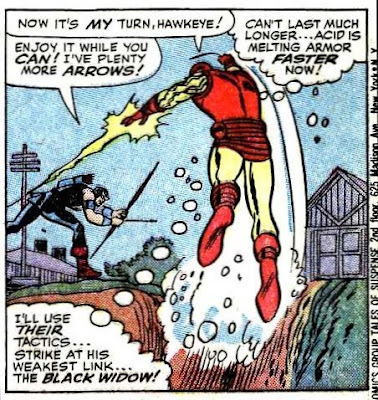 But sure enough, Iron Man blasts her with "a transistor-powered electrical bolt", causing Hawkeye to break off the combat to rescue her. 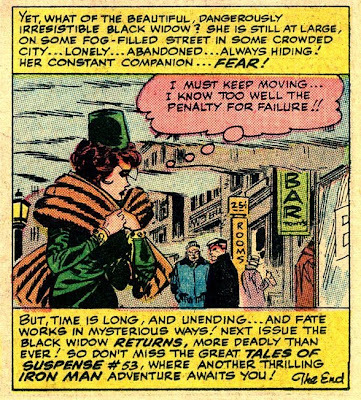 You can make the argument that by kidnapping Pepper and Happy, the Black Widow had forfeited any right to chivalry, but it's very hard to fit in with this new notion of the Widow as moving towards the hero class. Well, that's a heckuva a boyfriend, not bothering to hang around the hospital and instead heading off to join the Avengers. Amazingly Iron Man says "I believe you, Hawkeye," and before you know it he's giving the bowman a copy of the Avengers' rulebook. As it happens, in the same issue Quicksilver and the Scarlet Witch join the group, while Iron Man, Giant Man and the Wasp exit stage right, leaving only Captain America as the only "good guy all along" in the group. This time, her commie masters want her to destroy the Avengers. Given that she's been unsuccessful in the past at eliminating even one of the (former) members, that seems a pretty difficult task. She recruits the Swordsman and Power Man, two villains who have battled the Avengers in the past. 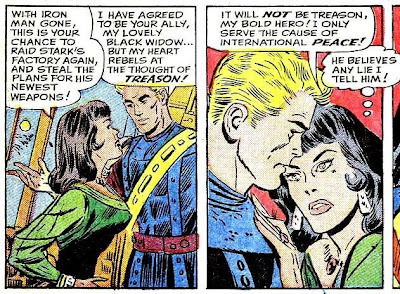 She also attempts to get Hawkeye to betray his comrades, but despite his continuing infatuation with her, he senses she's brainwashed and refuses. The Swordsman and Power Man kidnap Cap and bring him back to the Widow's mansion. At first, the Scarlet Witch and Quicksilver are captured as well, but they are freed by Goliath and the Wasp, and manage to turn the tables. But as the villains are about to escape, Hawkeye has a chance to stop them with one of his arrows. However, he is unwilling to risk harming the Black Widow and the bad guys get away. 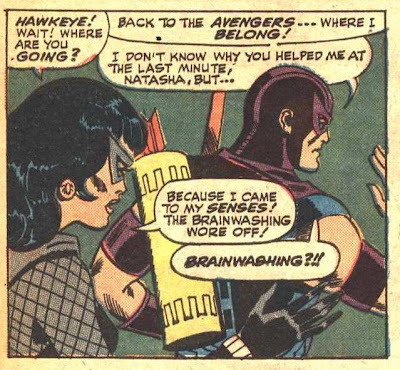 In Avengers #30, we learn that the brainwashing is wearing off. 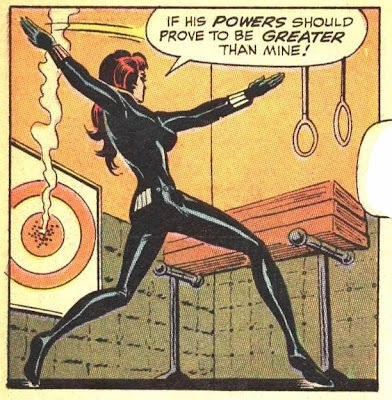 The Black Widow senses an affection for Hawkeye, and a distaste for the two thugs that she's palling around with. 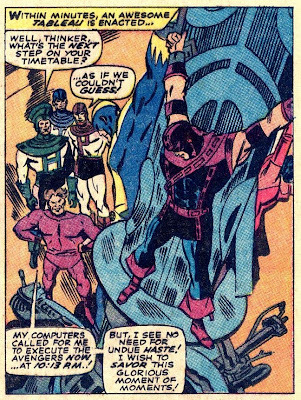 Meanwhile the Avengers have located their new hideout, and Hawkeye demands to be allowed to battle the trio alone. But as Cap notes, they're a little busy trying to figure out where Pietro has disappeared. So they debark for the tiny European country where Quicksilver and the Scarlet Witch grew up, with the Widow tagging along. She helps out, eventually winning the battle, but only by threatening the life of another, which is strictly against the Avenger Code. Fortunately nobody observes this other than Hawkeye, who isn't about to squeal on his girlfriend. 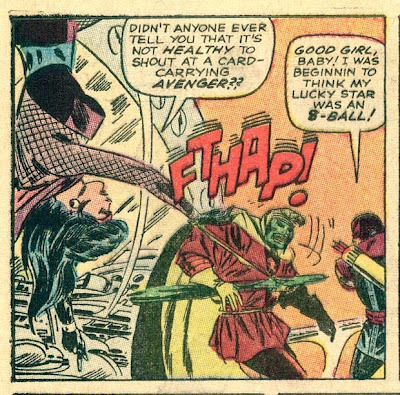 In Avengers #38, Natasha gets a call from Nick Fury. SHIELD needs her services as a spy behind the Bamboo Curtain. 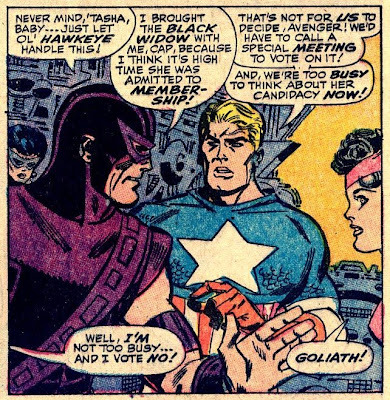 She blows off Hawkeye and the Avengers, who still haven't managed a formal vote on her acceptance. 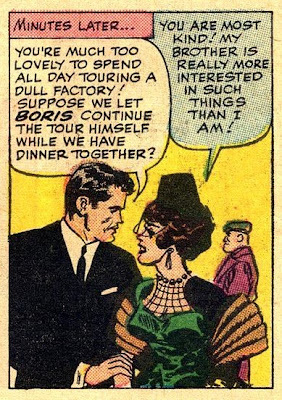 In #39, we learn that she has been accused of stealing top-secret atomic plans. Of course, we know that she's working for SHIELD and the charges are phony, but Hawkeye and the rest of the Avengers don't. Over the next few issues we get brief looks at Natasha on her Far Eastern mission. 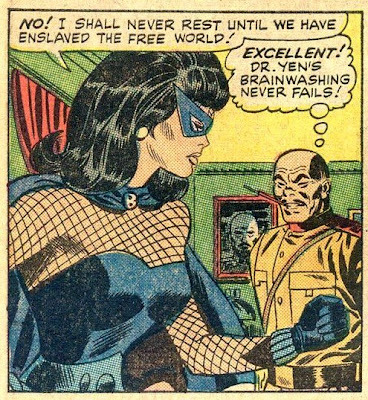 She is captured by the commie rat who brainwashed her, and subjected to the new Doomsday Device called the Psychotron, as they have figured out she worked for SHIELD. At the end of Avengers #42, Hawkeye and the others learn that she's been captured. And in the following issue, the Red Guardian sacrifices his life to save Natasha. 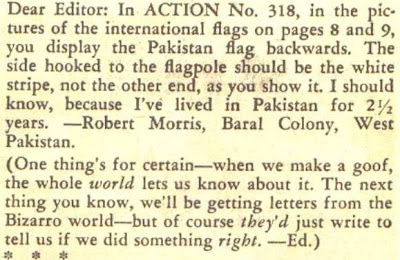 This was an intro for the Black Widow's own series in Amazing Adventures, where she shared the mag with the Inhumans (much as Iron Man and Captain America had shared Tales of Suspense, and the Hulk and Submariner had shared Tales to Astonish, until all four graduated to their own titles in 1968). 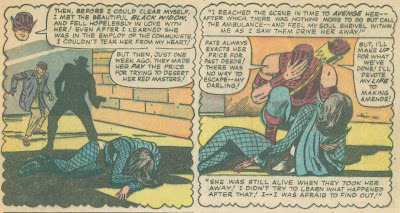 Although the Black Widow series only lasted 8 issues and is mostly forgettable, it did have one important aspect; it marked the first work by Gene Colan on the character. As you can see, it also marked the beginning of a more "adult" aspect to the series. Colan's association with the character would continue in late 1971, when the Black Widow started teaming up with Daredevil for a memorable four-year run. Coming soon by popular demand: Still more fishnet, featuring the Black Canary. Click for the rest of the "When I'm the Evil Genius" series. The folliclely-challenged shall inherit the Earth! 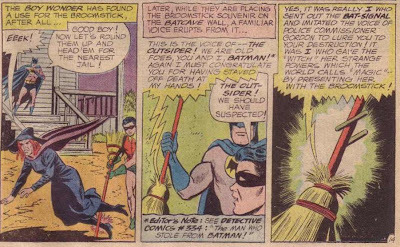 There were two major stories in the DC Silver Age that crossed over into several titles. Nowadays these "events" are commonplace, but back then it was something very new. In 1949, Zatara was eased out of his roles in Action Comics and World's Finest. In the former, it does not appear that he was removed to make way for a new character, but rather he was dropped and some of the existing features (notably Vigilante and Tommy Tomorrow) picked up some extra pages. Zatanna explains that she's looking for her missing father, Zatara. We learn that before he disappeared he was trying to capture an evil Oriental lama, and also that he battled against a "sinister being called the Druid." 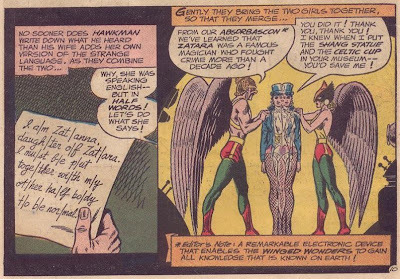 Using the Absorbascon, a Thanagarian device that can learn any knowledge on Earth, Hawkman discovers that nobody on the planet knows the whereabouts of Zatara. Zatanna thanks them for their help, and continues on with her quest. She returned in Atom #19 (June-July 1965). She believes that her father has vanished into a microscopic world inside his book of magic. Zatanna and the Atom shrink down to subatomic size and encounter the Druid mentioned in Hawkman #4. 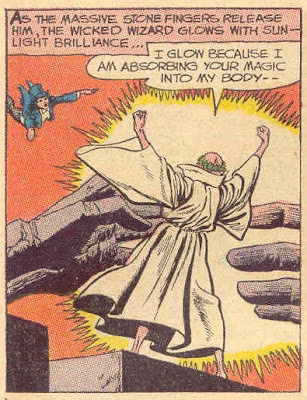 He captured Zatara by absorbing all his magical energy. Then he banished him to another realm. But the Atom gets the brilliant idea of Zatanna tricking the Druid by using fake "magic" (i.e., a simple card trick). The Druid absorbs the fake magic and it sends him into a catatonic state. Unfortunately this means that Zatanna still can't find out where her father is. The series continued in Green Lantern #42 (January 1966). Zatanna has discovered the secret entrance to Ys, a mirror world of Earth that is "steady-state", where nothing ever changes. A warlock on that world has tired of the lack of excitement, and decides to bring Green Lantern there so that he can steal the power ring and conquer our world. 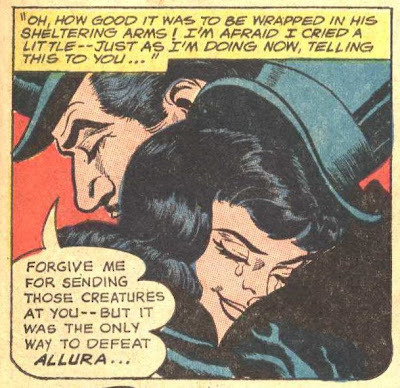 They defeat him, but he refuses to reveal where Zatara is unless GL hands over the ring. 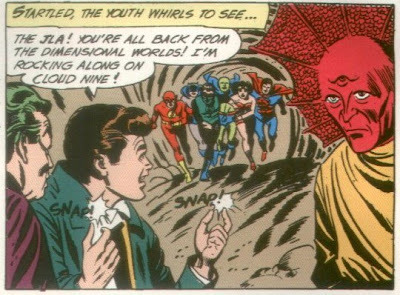 GL agrees and we learn that Zatara had been in Ys, but he had escaped by taking a crystal ball that the warlock intended to use to travel to Earth. Fortunately before GL hands over the ring, Zatanna places a hex on it, causing the warlock to freeze in place. Her quest continues. 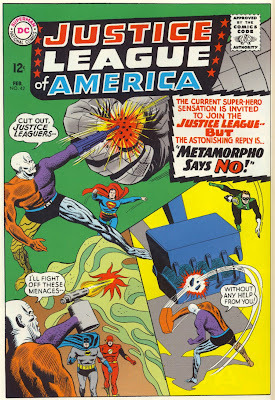 The saga ended in Justice League of America #51 (February 1967). 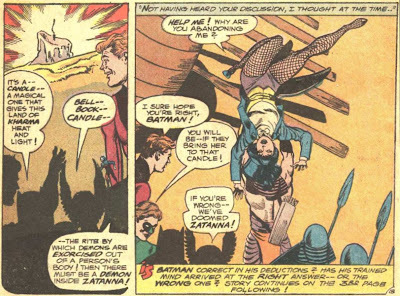 Zatanna summons Batman, Green Lantern, Atom and Hawkman to their JLA headquarters, along with the non-member Elongated Man. We learn that she wants to thank them for helping her rescue her father. This creates a complex plotline as the story shifts back and forth from the present to the past. And of course it sorta gives away the ending, which makes it an odd plot design. 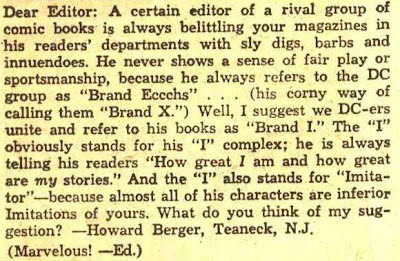 Obviously way ahead of its time, the series suffered from crossing over into many titles (as do all such stories) despite the continuity of editor (Julius Schwartz) and writer (Gardner Fox). The odds of a significant portion of the comic-reading cohort of the time having a complete collection approach zero, and of course at the time the idea of compiling the story into a trade paperback never occurred to anybody. 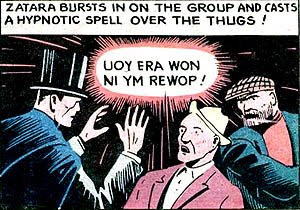 And the gimmick of saying your words backwards is annoying to readers, who have to stop and translate. 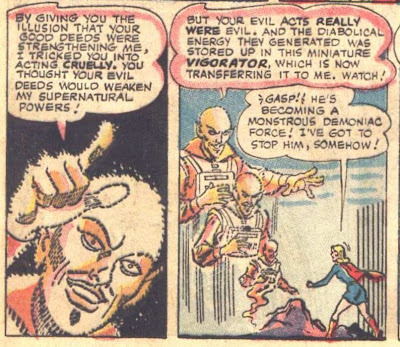 The evil Oriental lama never appears in the story (after the mention in Hawkman), and although there were hints that the story will crossover into the Flash (at the end of the Atom tale), that never happened. Still, a very entertaining saga. Coming up next: Yet more fishnet stockings! Yes, come back Bob! I don't love this four-foot tall guy standing behind me in the bathrobe! One of the problems here is that it's hard to tell who's the freak; the guy could be normal-sized and the woman could be a giant. 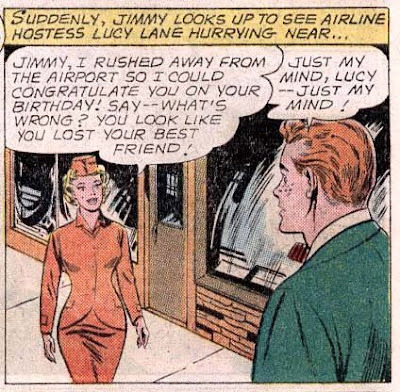 And no, thinking his girlfriend has become three feet tall is not what's making Jimmy question his sanity. I'll add more entries to this post as I find them. If you have some good ones, let me know! 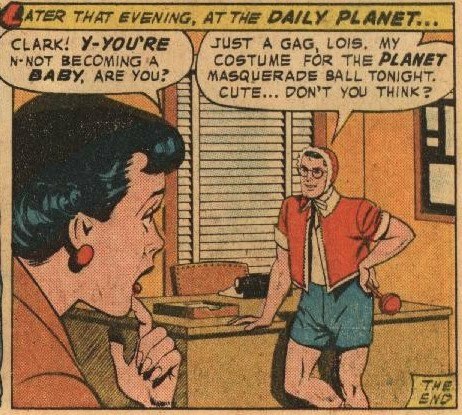 The perspective certainly makes it appear that Clark is significantly shorter than Lois, although the gag ending tells us that we're supposed to be amused at Clark's clothing despite finding him significantly taller than Lois.